This Bavaria Cruiser 41 sailboat, built in 2017 is an excellent choice for those wishing to experience a new sense of freedom in style and comfort. Wake up to the sound of the sea in one of the Bavaria Cruiser 41’s 3 spacious and modern cabins. Sleeping up to 8 people, this sailboat is perfect for sailing with friends and family. 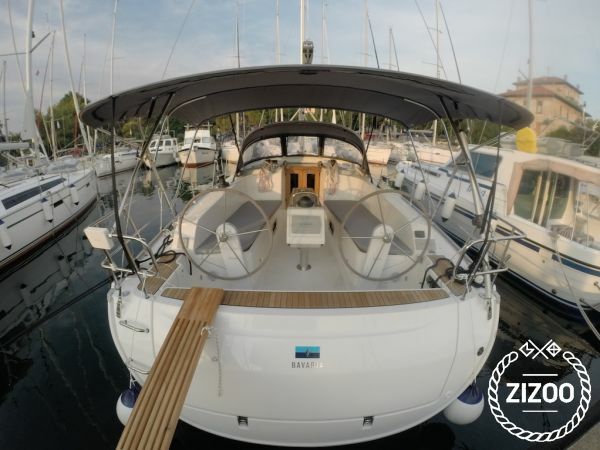 The Bavaria Cruiser 41 is located in Zadar Marina (Zadar), Zadar, a convenient start point for exploring Croatia by boat. Happy sailing. WIr waren völlig zufrieden. Das Schiff war neu und sauber, die Abstimmung mit dem Skipper hat wunderbar funktioniert und er hat uns toll durch die Kornaten gesegelt.